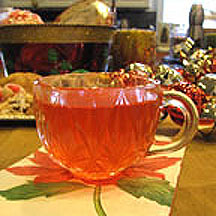 CooksRecipes has quality, kitchen-tested recipes for hot cider beverages and drinks that you can count on for deliciousness. 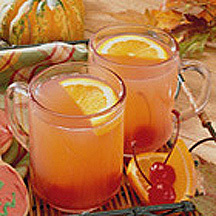 Warm, delicious and cheery, enjoy this spiced cherry, apple and orange cider with family and friends. Warm up on a cold, blustery day with a delicious, steaming mug of buttery mulled apple cider. Tastes like an old-fashioned red candied apple in a glass! 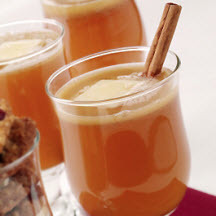 This deliciously easy hot cider is always a hit at fall and wintertime parties.